You've come to the right place! Gutters are the first line of defense against external water damage to your home or building and our team at Gutterman Services can help you get the best gutters for your budget . Have you ever been the unfortunate victim of water damage to your home or business? If not, you’re lucky; if you have, then you probably understand how water can wreak havoc on a building! 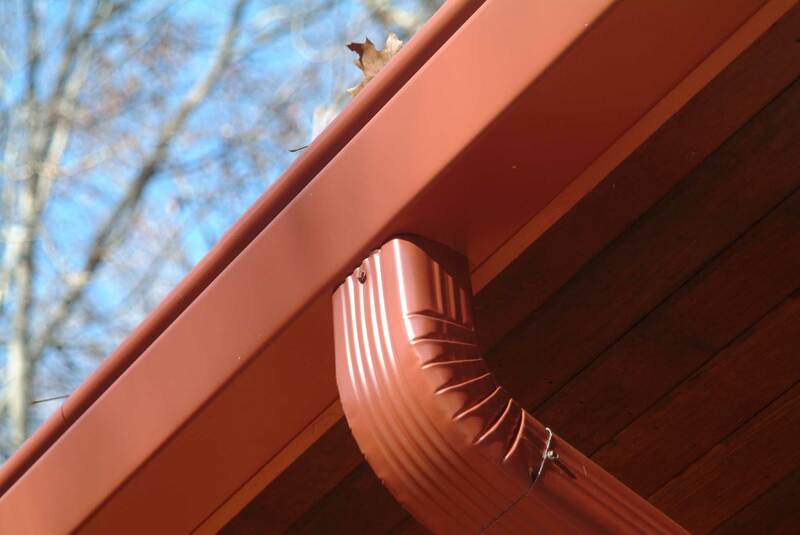 Gutters are the first line of defense against external water damage to your home or building. Ideally, they channel water off your roof and safely away from your building. Complications with your gutters can disrupt that flow, resulting in a myriad of problems for your structure and a big headache for you. Gutterman Services is your one-stop-shop for all things gutter! We combine expert service with unique, top-of-the-line products to bring you the best home exterior work in the area. 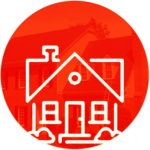 Whether you own a home or a business, we’ve got you covered. Not only do we replace gutters, but we also clean, repair, and maintain them for you. Over 30 years of experience and countless happy customers will speak to the quality and care we put into each and every job. Our goal is to treat you like family and tend to your building as if it were our own home or business. You can trust us to give you honest, straightforward advice and top-notch service every time, all year long. Please click the service below to learn more. Keeping your gutters free and clear of debris is the first step to properly maintain the system as a whole. 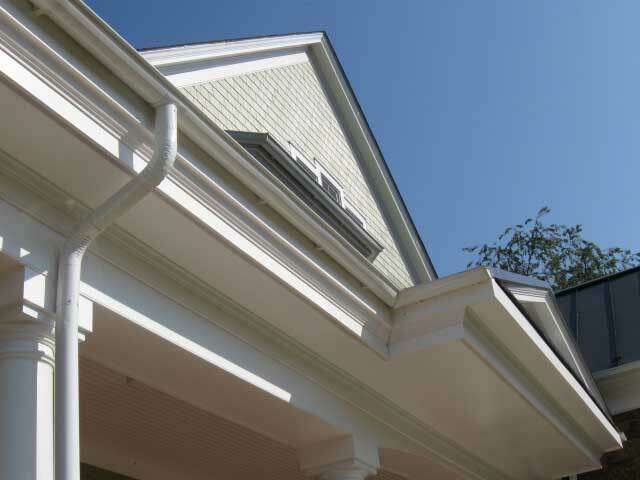 Our team is expertly trained to clean a variety of gutter systems efficiently and safely. We do this by removing any debris, completely flushing the gutters and downspouts with water, and securing any loose gutters or screws back into place. Our team also fully inspects the system while this process takes place. Having your gutters in good, working condition is extremely important to the safety and vitality of your building’s exterior. If you see any sagging, drooping, holes, or obviously broken pieces of your gutter or downspout system, you’ve got a problem. It could be that you don’t see an issue with the gutter itself, but you notice water backup during a rainstorm, see water damage or staining on the side of the building, etc., which are also signs of a gutter-related issue. Not to worry – at Gutterman Services, we’ve seen it all. We can perform any repairs needed to ensure your gutter system is functioning at its best. 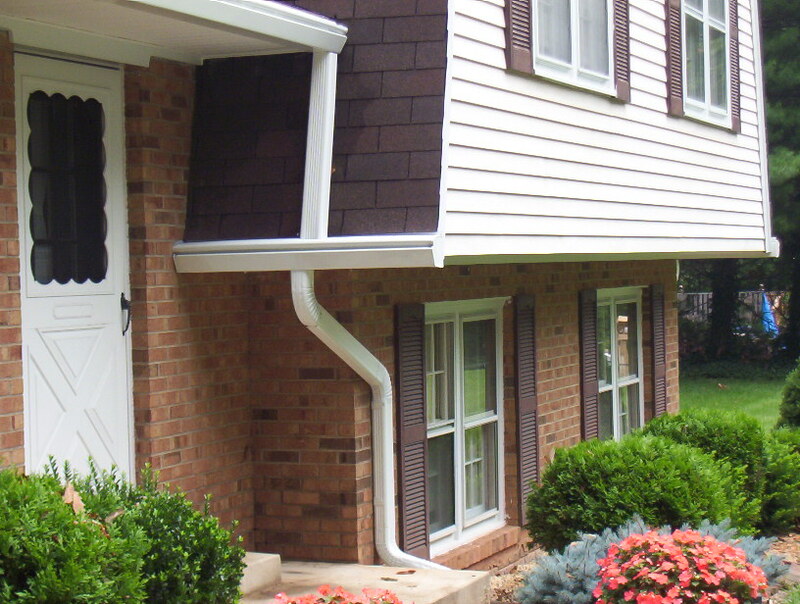 Whether you need to replace a portion of your current gutter system, or would like a new one entirely, we can help! 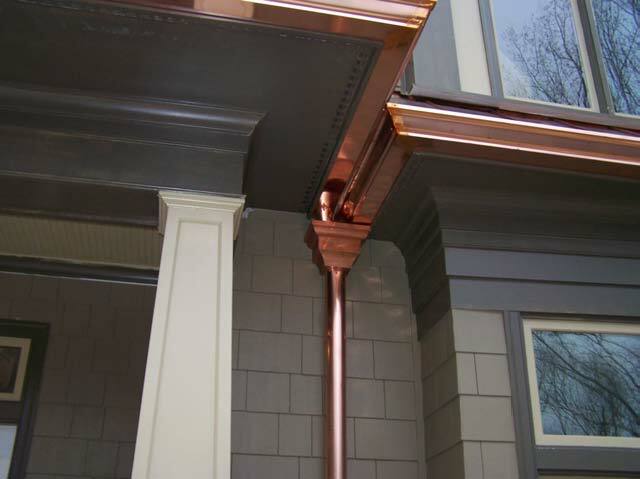 Our team is quite skilled at just about any gutter system out there – aluminum, copper, traditional half-round, steel, and KGuard; and keep in mind, we can customize anything at our metal shop! All of our work comes with an industry leading warranty to give you extra peace of mind. We wanted to thank Sean Miller again for coming out and finishing up the work on our roof. Sean is consummate professional and a very capable skilled craftsman. We very much enjoyed having him over at the house and he's welcome back any time. This was not only our second Gutterman roof, (the first was installed at our Reston property), but we have also had Gutterman gutters installed as well - we are a Gutterman family! We have very high confidence in Gutterman workmanship and we do not want you to think that this very small leak has changed our opinion of Gutterman be/c it has not. Roofing is as much an art as it is an engineering science and nothing ever has perfect conditions. The installers were workhorses during those several extremely hot days at our house, they know their jobs very well and we are extremely pleased. This is what we want you to know: The real worth of a business is not when they complete a job on-time, on-budget, or with technical precision. The real worth and ethical foundation of a company is demonstrated when they respond to an issue, a complaint, a problem, and the customer can see first-hand how the whole team responds. Truth, transparency and a customer-first attitude – that defines the real worth of a company. Everyone involved in our roof – from the first meeting with the sales team, the install team, to the quick-response team – everyone is key to the process of getting the job done and ensuring the customer is pleased. It’s the people and that is the real worth of your company. You cannot duplicate them with technology, tools, software or robots. Its their customer-oriented people skills that make your company great. Thank you for the great roof and we expect another 50 years of service from our new Gutterman roof. Post major storm / insured damage restoration work. New roof, gutters, siding repair, interior repair / painting. All work complete. First rate. Kudos and my heartfelt compliments to Jose, Iran, and their crews. To a person, everyone was professional, responsive, and had an excellent attention to detail, while getting the work done on time - simply outstanding. From the senior crew leaders, their teams, your project leaders, and the good folks in the back office everyone was first rate - courteous, responsive, professional, and knew their stuff. I don't typically write reviews, but your team and you and their work called for something special. Our thanks. The house looks great. Our thanks. If we have need again, we will seek you out. Excellent job. We had roofing replacement, roofing repairs and new gutters/downspouts installed. Both the gutter crew and the roofing crew were outstanding. I don't think you could ask for better workers. They were polite, professional and do an outstanding job. We couldn't be happier with the work quality and the nice people who did the work. Our house is large (6500+ square feet) and the Gutterman Services work is far better than we had from the original builder. Highly recommended! I used Gutterman Services August 17, 2018, for the first time. I knew that some of my gutters were clogged and that others might/might not need adjustment. Other companies' estimates for inspection, cleaning and possible follow-up work ranged from reasonable to off-the-charts outrageous. Technicians Oscar and Marvin checked everything out, cleared and cleaned the gutters, and added one L-bracket (? not sure if that's the correct technical term). They were just great representatives for Gutterman -- knowledgeable, efficient, and extremely nice, answering all my "stupid" questions and reassuring me that my gutter issues weren't nearly as serious as I feared. I look forward to being a repeat customer of Gutterman Services! I recently had my window and door pediments and front door trim replaced because it was rotted. After a couple consultations with the Gutterman professionals, and approval from my homeowners association, I decided to go with Fypon for the pediments and PVC for the door trim. Chris also noticed the front gutter was short, which was the root cause of the rotten wood, so that was replaced as well. Kevin Poole was the foreman on the job and I can not say enough good things about him. He is a master carpenter who pays attention to detail, taking the time to do the job right. Shawn, Iran and Armando also took great care installing the gutter and downspout, and caulking and painting. They were always courteous and cleaned up perfectly each day. I will definitely do business with this company again, based on my experience with Kevin and crew. Michael came out today to provide an estimate for gutter replacement and we were extremely satisfied with his professional manner. He explained everything in detail, provided samples of the new gutters and we will be signing a contract to move forward with the work on our home. Very impressed and I will follow up after the work has been completed. 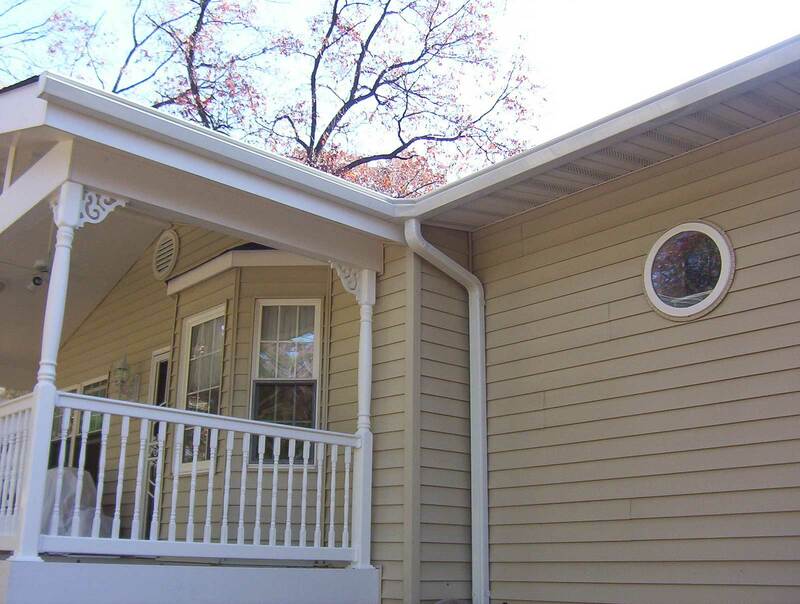 We recently had several projects done at our house by Gutterman Services. We replaced our roof, all of our gutters and drain spouts, and had some repairs done to our back porch. Jorge was our job overseer and Kevin did the porch repairs. I can't say enough about how professional and thorough all of the people who worked on our house were. Jorge, Kevin and the people in the office had the best customer service and response I have probably ever experienced with a contractor. Everyone that I contacted got back with me within 24 hours. Jorge would be proactive and contact me when he hadn't heard from me about a question or even just to keep me apprised of what was happening. Kevin worked extra hours to complete the porch repairs and called and spoke to me several times to make sure the repairs were what I was expecting. There was one miscommunication about the schedule and the office called me to apologize and offered to reschedule. I told them it wasn't necessary but they were very concerned about any inconvenience it may have cause. The whole project was one of the most pleasant experiences I have every had in getting repairs done!! It was a 5 star plus experience! Our townhouse deck had never been sealed or painted and was close to 25 years old. It was a pleasure to work with Anthony to figure out what needed to be done. We decided on two coats of a wonderful Ember-colored stain. I think they ended up using three. Anthony and Armando did a fantastic job and I can't believe how good it looks now. I also appreciate the good work from Kevin on replacing a gutter and soffit that had been a constant source of trouble. I think I have finally found a company I can count on to do the job right. I also had the entire house and deck pressure washed. I look forward to using Gutterman Services again. 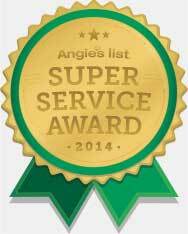 We had hail damage to our roof and gutters and Gutterman Services was highly recommended by my neighbors. I decided to give them the business and they didn't disappoint. Our Estimator, Jorge Rodriguez-Sawao was very responsive and communicated the process clearly. The workers showed up on time when scheduled and completed the work as indicated. I would highly recommend Gutterman Services to anyone looking for a company with excellent customer service! We have had two crews in over the past 3 days and both have been excellent. Charles Miko and his roofing crew were consummate professionals and very detail oriented down to cleanup as they went along. No nails left over to find. They have far exceeded our expectation over what we saw done at our neighbors who used a different company. Everyone including closest neighbor were happy with the crew, taking care not to hurt their property or plantings which are very close to us. Every step was explained and re-explained as necessary. We would highly recommend the roofing work to anyone and have. Our neighbors wish they had had Gutterman now. Today we had new 6" gutters installed with helmets and Amilcar and Javier were able to explain and improve on the gutters to better protect our home. We couldn't be more pleased. Gutters down and new one up with this two man crew of professionals. A happy customer of many (10+) years. Can never go wrong with this Company of true professionals. Thank you for guiding us through the Insurance and all. Kudos to Harold Boosahda, the Sales Manger, for coordinating the crews and being there when we had questions about anything. I just used Gutterman Services for a total gutter replacement. I was very satisfied with the professional service from the initial call to the final inspection. They did a great job with the installation and clean up. Jorge Rodriguez-Sawao did a good job with the estimate and final inspection, he explained everything clearly and did not pressure us at any time, even when he pointed out areas to keep an eye on the roof of the house. I highly recommend them. Excellent work by Oscar and Marvin in cleaning our gutters! Amilcar and Richard did a great job installing our new gutters. They were efficient, pointed out some areas of concern, pleasant to have at our home and cleaned up when done. I recently used Gutterman Services for my gutter/downspout total replacement and then asked them to come back to replace the roof and skylight. I was very happy from the initial call to the final trim. I dealt with Jorge for estimates and coordination as well as Charles, the foreman of the roof crew and skylight "trim guy." They cleaned up very well after each job - I could hardly tell they were here. I had to take no time off work since they were outside and they came by at the end of the day and Saturdays for consultation (we both commute so this was important for us!). There were a few small items that needed to be fixed after the roof install, but Charles came out within 3 days to fix them. It is so nice to find service people you can trust to do a good job and really take care with their work. We asked Gutterman to help us with a water problem in our basement. I spoke to Cassie and she quickly arranged for an inspection of our gutters and downspout and promised to fix the problem with one visit or come up with a solution if that turned out to be impossible. Gabbie scheduled a service visit ASAP and kept us informed about the timing of the visit. The crew that performed the work was Amilcar and Javier. They were great. It is hard to think of a better crew. They inspected and flushed our gutters and downspout. Amilcar diagnosed the problem and recommended a simple fix to my flexible extension to carry the water away from my foundation, which I was able to accomplish the same day. Before he left, Amilcar also informed us of several other Gutterman services that would improve the appearance of our house. 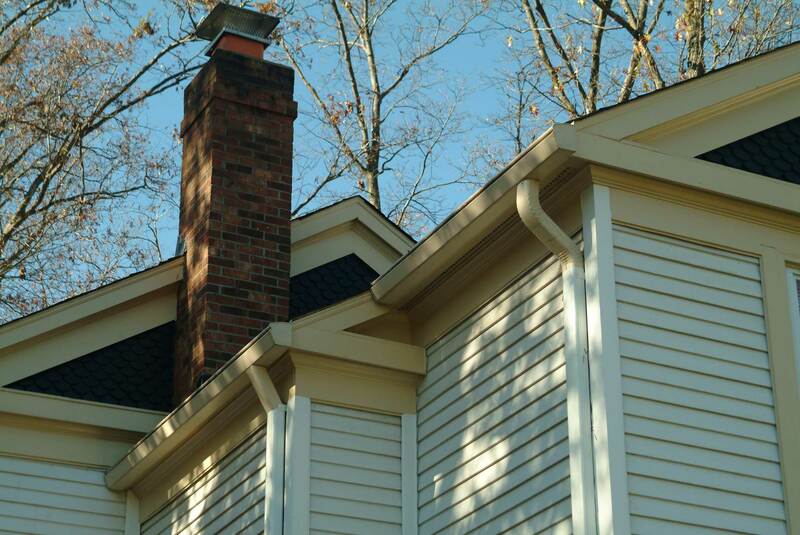 “I am a property manager and I have used Gutterman Services for several projects this year including siding, roofing, windows, chimney cap replacements, gutter repair, replacement and gutter cleanings. The staff at Gutterman is extremely professional. I cannot say enough about the quality job they do from start to finish. Their staff from the office to the field are the best. They are trustworthy and stand by the quality of their work. I have been using this company for projects for many years and I am so glad that I found them. They make my job as a property manager so much easier. I know that they are going to be honest about what repairs need to be done, provide me with a competitive price, and perform the work correctly and in a timely manner. Easy to make appointment(s), conveniently scheduled, promptly came, professional and courteous workers. This is the third time we have used Gutterman Services and have never been disappointment. 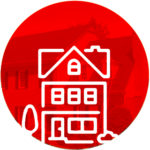 "I am a property manager and I have used Gutterman Services for several projects this year including siding, roofing, windows, chimney cap replacements, gutter repair, replacement and gutter cleanings.. The staff at Gutterman is extremely professional. I cannot say enough about the quality job they do from start to finish. Their staff from the office to the field are the best. They are trustworthy and stand by the quality of their work. They make my job as a property manager so much easier. 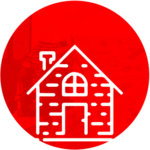 I know that they are going to be honest about what repairs need to be done, provide me with a competitive price, and perform the work correctly and in a timely manner. " This company was very professional and appears to have done a fine job. The salesman I dealt with was Jorge Rodriguez-Sawao. He is very impressive. He is very knowledgeable, responsive, courteous, smart, and explains things clearly and thoroughly. He gave me pictures of the condition of my roof and explained what was needed. He used to be in operations so he really understands how the work is done. The sales experience was informative, not pushy. The office support was excellent. They knew my job, called when they said they would call, responded to my calls promptly, and generally followed through on their promises. They took extra steps to make sure that the supplies were delivered in such a way as not to block the street in my cramped townhouse community, which I really appreciated. The pricing was about what I expected. It is not cheap to get a new roof but you also don't want it to be done on the cheap. They did a great job, so far as I can tell. My roof (a four-story townhouse) posed extra challenges because of its height. The guys worked 13 hours the first day and did not quite finish before it got dark. They came back over the weekend and finished. I was very impressed that they were committed to getting it done. Jorge kept me informed all weekend and made sure the crew cleaned up thoroughly. I highly recommend Gutterman and Jorge in particular. I will use them again for future projects. They replaced our gutters. They did everything just like they promised, were here when they said they would be, charged what they said they would and cleaned up after themselves. Overall, they did a great job. I have returned to Gutterman Services because of the work they have done each time I have used their services. They are responsive and customer oriented. I appreciate that it is a family business. I reached out to them to consult on my current home's needs, hoping that their services extended beyond the type of work previously done. I am thankful that Gutterman Services will be able to provide me a wonderful solution. Chris Pauly and all employees I have interacted with have been aboveboard. Kudos to them! Fabulous. I looked high and low for installers who knew what they were doing. What sold me on these folks is their track record. I saw an install 3 years old that still looked new and was holding up well. This is their product. The off the shelf product just doesn't seem to hold up that well. Terry and his crew started on a Friday and finished Tuesday. 29. I can't say enough good things about Terry and his team. Very conscientious and professional. The result is fabulous. The area under the deck seems to be bone dry! It's like adding an extra room on the house. Exactly what I wanted. Replaced smaller gutters with larger ones in key areas, replaced an overly circuitous path for water that overflowed with heavy rain with a more direct and effective path. It went great. George was easy to work with, very transparent regarding the scope of work and pricing, very friendly & professional. I especially appreciated his concern with the aesthetics of the gutters in relation to the porch and columns--he came up with a great-looking solution. Really, it couldn't have gone better, highly recommended! Great. Ken Killmeyer came out to look at our house and give us an estimate. He was easy to work with and there was no pressure. I had received a quote from another company a few days earlier but Gutterman's was nearly half the cost so I went ahead and signed a contract. Replaced gutters on about 80% of the house. We went with a combination of the more expensive half-rounds in the front of the house, regular gutters on the rear of the house, and with the installation of a rain trap on gutters installed above the 2nd floor (and above the reach of my extension ladder). The cost included discarding the old gutters which had already been removed from the house a couple of weeks earlier by house painters. The work was done, perfectly as far as I can tell, about two weeks later. They even reconnected the downspouts to the drainage pipes I had installed a few years earlier. Nicely done! They installed gutters on my 1920 farm house porch, a guest house and one side of a garage. They also put screens in the existing gutters. I have a 2 story house. They contacted me right away. Even sent a personal email to me, not from the company. They notified me that the materials would be dropped off the day before installation and on the day of installation they were very clean and did an amazing job. Even on my old house the new gutters blend right in and look like they were meant to be there. Its rained a lot since we installed them and they work wonderfully! So impressed and would recommend them to anyone but especially someone with an old house. Overall, they did an amazing job at a fair price. Cleaned gutters, then next appointment was to replace down spout with wider 3" x 4" one. Easy to make appointment(s), conveniently scheduled, promptly came, professional and courteous workers. This is the third time we have used Gutterman Services and have never been disappointed. I am a property manager and I have used Gutterman Services for several projects this year including siding, roofing, windows, chimney cap replacements, gutter repair, replacement and gutter cleanings. The staff at Gutterman is extremely professional. I cannot say enough about the quality job they do from start to finish. Their staff from the office to the field are the best. They are trustworthy and stand by the quality of their work. I have been using this company for projects for many years and I am so glad that I found them. They make my job as a property manager so much easier. I know that they are going to be honest about what repairs need to be done, provide me with a competitive price, and perform the work correctly and in a timely manner. They didn’t just clean the inside of the gutter but also washed the outside of the gutter. We had some run over that had caused the gutters to turn black in color. They scrubbed them. They identified the problem on the roof which we were not aware of. The ring that goes around the bathroom generation had cracked and broken. They replaced it while they were here. They went above and beyond. I had called three companies and I found that their price was reasonable. Gutterman Services cleaned out all of my gutters and repaired the leaking corners. The workers were very professional and did a great job. They noticed that the gutters were incorrectly installed on the front fascia, because the drainage slope did not allow the water to flow to the outlets. In a short time, they flushed all of my gutters and sealed the corners that were leaking. The customer support was extremely courteous and provided the scheduling information and estimates. The price was reasonable for the amount of work performed. I would highly recommend this provider to anyone needing gutter service. 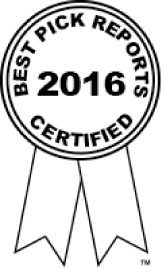 I had Gutterman services install new gutters and guards in March 2016 on a home I purchased last November. The service was prompt and professional and reasonably priced. The workmanship is excellent, no trash was left behind and they did not cause any damage to the roof, house or yard. I would definitely recommend their services. I have used Gutterman twice now in the 22308 zip code. They are hands-down the best! Jorge scoped our entire job and did great. Personally followed up on the entire installation. Amilcar and Javier were onsite the whole time and took care of every little detail. They worked extremely hard. Really exceptional. Can't wait until their new work is tested by the rain. Thanks guys! Unlike some metals, aluminum doesn’t require a protective coating to prevent corrosion. Its molecular structure prevents it from ever rusting – perfect for gutters! Will you replace just a small section of my gutters or do you have to replace the entire system? We will happily replace a small section or the whole system! Do you offer any services other than gutters? Yes, many! We are experts in all things exterior! We also do roofing, siding, windows & doors, deck repair & restoration, handyman work, and more. Why do half-round gutters require more frequent cleaning? Because of their shape, they sometimes get clogged more than newer gutter styles. As long as you clean them regularly and check them after major storms, you’d probably be in the clear. Check out our home maintenance package and let us ensure that your gutters are always in good shape! Have a question that we haven't answered here? Please ask below and one of our representatives will respond at the earliest.